Robert Oldfield, a retired dentist from Kingston Ontario, travelled with his friend, Steve Archibald, on our 100th anniversary Return to Vimy Tour in April 2017. Imagining the single bloodiest day of the war for Canada at the Vimy Commemoration ceremony, on our last day together, Robert and Steve, along with our support team Gilles Aube and Gilles Pelletier, left the large group in a car to find the Commonwealth Cemetery at Barlin (north of Vimy). Robert was on a very personal mission. He was on a quest to find the grave of his Great Uncle Hugh L. Hughes. 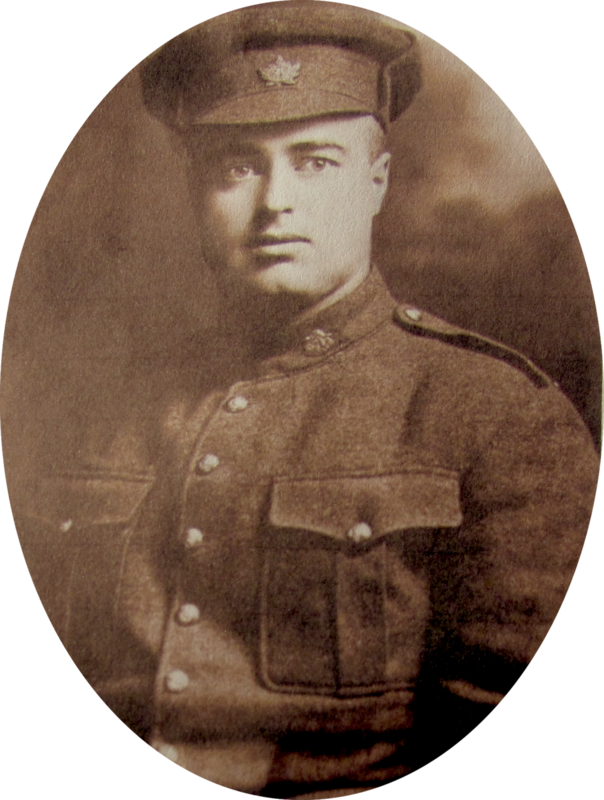 Hughes was a school principal at Princeton Continuation School in Guelph when the war interrupted his life at age 28. Robert brought the personal effects he inherited through his family on the tour with him, back to the spot where their rightful owner was laid to rest; a cigarette case, his hat badge and his identity discs. Robert had in hand, a printed copy of Hughes’ Roll of Service, a summary of his military service: In December 1915 he enlisted in the 71st Battalion. He transferred to the 54th Battalion in England, and reached France in August 1916. Though he was offered a commission he preferred to remain in the ranks. Through the autumn of 1916 he served in the Somme campaign. On March 1st, 1917, he was fatally wounded at Vimy Ridge and succumbed to his injuries five days later. Buried at Barlin. A scholarship had been founded in his memory at the Princeton School. Robert was able to locate his Great Uncle's grave, Visiting the gravestone of my Great Uncle Lloyd Hughes at the Barlin Military cemetary. 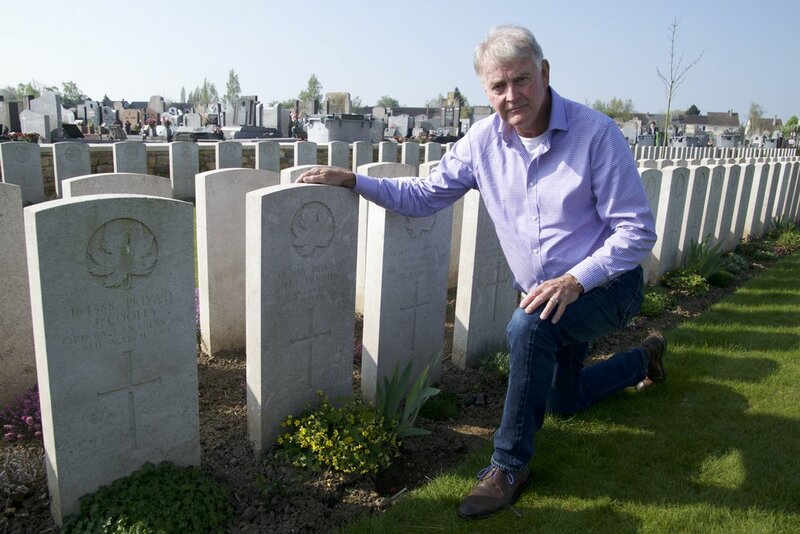 Robert shared how he "made a shallow trench in front of his grave and placed a poppy, some matches, and the last cigarette that he never had the chance to enjoy in the trench before he was mortally wounded at Vimy. A very special moment for me." It was a rewarding, emotional and personal act of remembrance. Robert’s Great Uncle Hugh L. Hughes’ sacrifice and service is not forgotten.